It’s always great to get positive feedback from our customers. 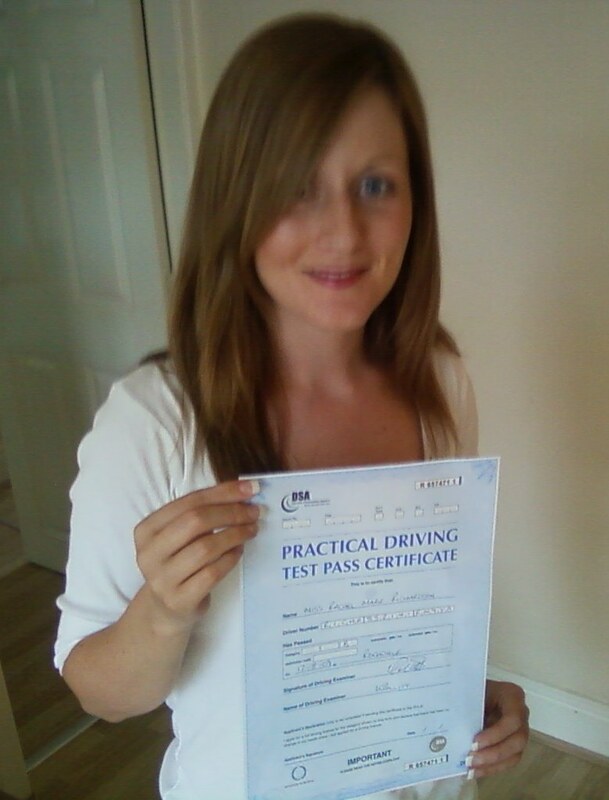 When Rachel Richardson passed her driving test at the first attempt yesterday, she was so pleased that she just felt compelled to send us an email. Look out for updates to our website coming soon – our ‘Recent Passes’ page will be updated with photographs of all our students who’ve recently passed, and we’ll also be launching our ‘Pupil of the Month’ feature.